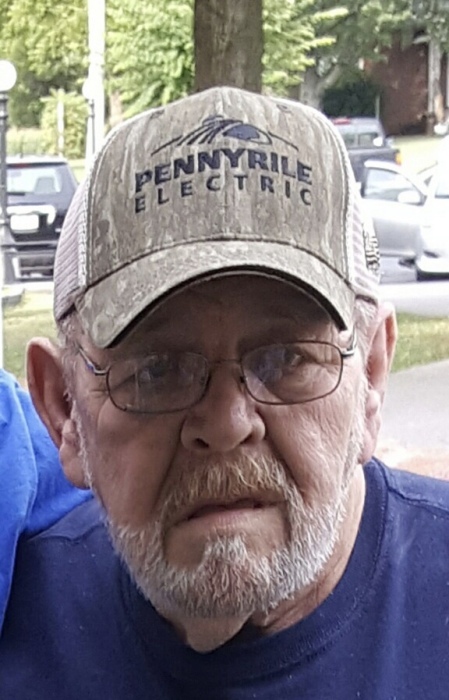 Jerry Roe Lee, 74, Buckner Drive, Hopkinsville Kentucky., died Tuesday afternoon January 22, 2018, at his home of natural causes. Services will be at 11:00 a.m. Friday at Lamb Funeral Home with Barry Williams officiating. Burial will be in Hale Cemetery. Visitation will be from 5:00 until 7:00 p.m., Thursday at the funeral home. A native of Christian County, he was born December 2, 1944, the son of the late Dudley Roe Lee and Mae Marie Gates Lee. He was an operator for 34 years at Phelps Dodge. In addition to his parents, he was preceded in death by his wife, Earlene Williams Lee; one brother, Dale Lee; one sister Brenda Brawner. Survivors include his sons, Jay ( Stacey) Lee, Jeff ( Vickie) Lee, Kenny ( Brenna) Lee, all of Hopkinsville; one brother, Randy ( Mary Evelyn) Lee, Christian County; two sisters, Melinda ( David ) Perdue, Todd County, Janie ( Greg) Pryor, Hopkinsville; 5 grandchildren and 2 great grandchildren. Expressions of sympathy may take the form of memorials to the Charity of your choice.